It has the talent, experience and the facilities to build the military ships that keep America and our allies safe. 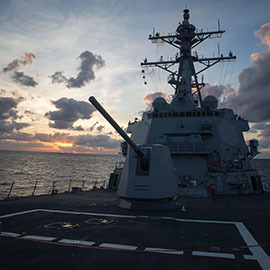 Guided missile destroyers can engage targets on, above and below the ocean. LHA class assault ships can launch multiple air strikes and amphibious landings. A modern warship capable of handling the challenges of the 21st Century. Explore Ingalls Shipbuilding, a division of Huntington Ingalls Industries. We're changing the face of shipbuilding every day. 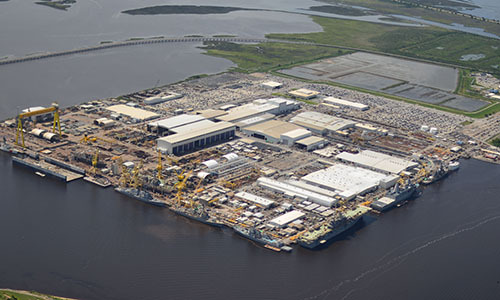 Ingalls Shipbuilding is located in Pascagoula, Miss. on 800 acres of land along the Pascagoula River. Employing 11,500 employees, Ingalls is the largest manufacturing employer in Mississippi and a major contributor to the economic growth of Mississippi and Alabama. Ingalls is the largest supplier of U.S. Navy surface combatants, and has built nearly 70 percent of the U.S. Navy fleet of warships. Search job openings across Huntington Ingalls Industries. Review all your benefits, including health insurance options. Our Apprentice Programs range in length from two to four years of instruction and hands-on development. Ingalls employees contribute in so many ways to the local community. Ingalls Shipbuilding authenticated the keel of the San Antonio-class amphibious transport dock Richard M. McCool Jr. (LPD 29) today. Ship's Co-sponsors Shana McCool and Kate Oja declared the keel to be "truly and fairly laid." Ingalls Shipbuilding announced today that the National Security Cutter (NSC) Midgett (WMSL 757) has successfully completed acceptance trials. Midgett, the eighth NSC Ingalls has built for the U.S. Coast Guard, spent two full days in the Gulf of Mexico proving the ship’s systems. 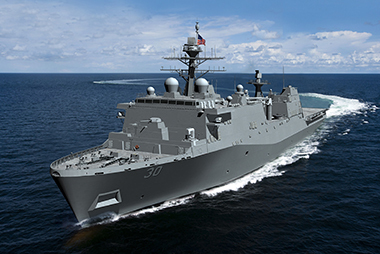 Ingalls Shipbuilding division received a $1.47 billion, fixed-price incentive contract from the U.S. Navy for the detail design and construction of the amphibious transport dock LPD 30 today. The ship will be the 14th in the San Antonio class and the first Flight II LPD. Ingalls Shipbuilding delivered the Arleigh Burke-class guided missile destroyer Paul Ignatius (DDG 117) to the U.S. Navy today with shipbuilders, ship’s force and representatives of Supervisor of Shipbuilding, Gulf Coast in attendance. The signing of the DD 250 document officially transfers custody of the ship from HII to the Navy. Ingalls Shipbuilding awarded $99,783 in grants to 31 STEM-related projects and initiatives from schools and educational organizations in Mississippi and Alabama today. Over the past 11 years Ingalls has awarded more than $1 million in STEM grants. Ingalls Shipbuilding has received two fixed-price incentive contracts from the U.S. Coast Guard to build two additional National Security Cutters for the U.S. Coast Guard. The contract values for the a 10th and 11th ships in the program are $468.75 million for NSC 10 and $462.13 million for NSC 11. Maj. Gen. Augustus L. Collins (Ret. ), a member of HII’s Board of Directors, and Edmond Hughes (pictured), vice president of human resources and administration at HII’s Ingalls Shipbuilding division, were honored by Our Mississippi magazine as two of the Top 25 Most Influential African-Americans in Mississippi for 2018. Ingalls Shipbuilding officially started fabrication of the America-class amphibious assault ship Bougainville (LHA 8) on Monday. The start of fabrication signifies that the shipyard is ready for sustained production and ready to move forward with the construction of the ship. Ship Sponsors Alicia J. Petersen and D’Arcy Neller christened the guided missile destroyer Frank E. Petersen Jr. (DDG 121) today with approximately 900 guests in attendance. The ship is the 71st in the Arleigh Burke (DDG 51) class of destroyers and the 33rd built by Ingalls. What’s Going on at Ingalls Shipbuilding? Check out our social media profiles to get a look at what’s going on.